Cardi B and Offset have broken up just a few days after her ex-boyfriend was released from jail. The duo was once relationship goals for their fans but that’s not the case right now. 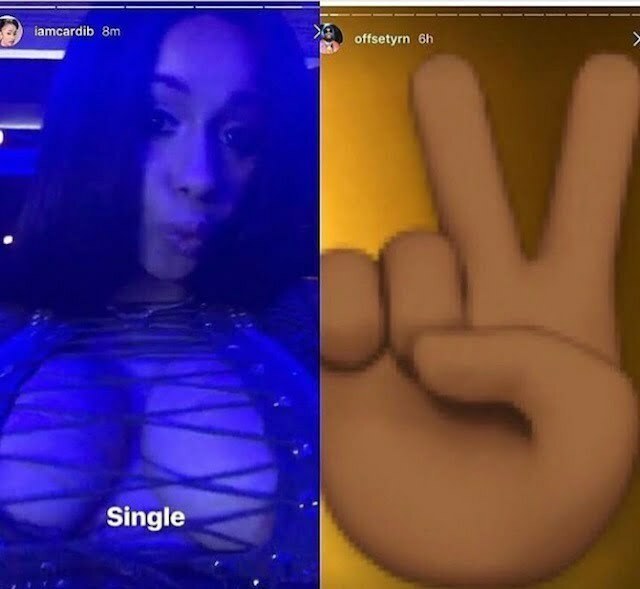 On Saturday night, both Cardi B and Offset took shots at each other on Instagram Stories while the “Bodak Yellow” rapper went a step further to announced that she is single. Bardi posted a photo of herself on Instagram showing the peace sign. “Peace nikka,” she wrote in the caption. The Migos rapper followed suit a short time later by posting the peace emoji on his Snapchat. The folks on Twitter already have their theory and and all fingers are pointing to Cardi B ex-boyfriend Tommy who they claimed was released from prison three days ago. 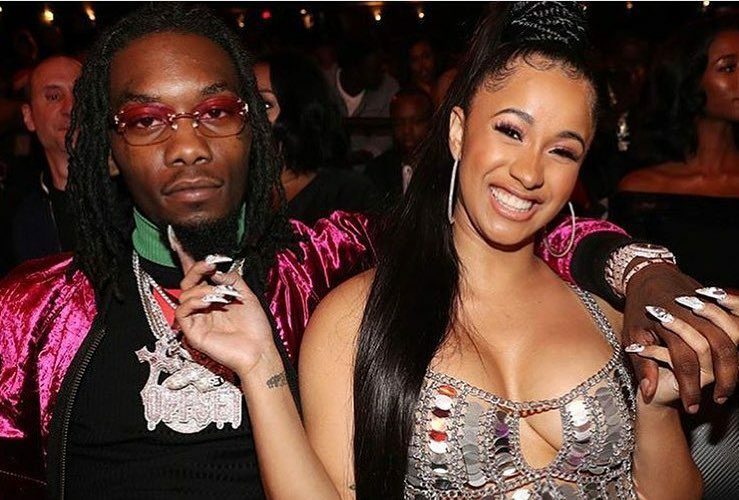 The Bronx rapper once said that she would help her ex get back on his feet when he leaves jail, so perhaps she is making good on that promise and that is not sitting well with Offset whom she has been dating since last year. There were no signs that their relationship was on the rocks so this bit of news came as a shocker to a lot of their fans and perhaps even their celebrity peers.